Chinese smartphone giant Xiaomi is all set to launch another android smartphone called “Mi 6X”. Today the company has confirmed the same through their Twitter Account. For the last few weeks, there have been lots of rumours and speculations around regarding Mi 6X. If everything goes well, the company will launch the device on April 25. Donovan Sung, the Global Spokesperson for Xiaomi tweeted today that they will launch the all new Mi 6X with Picture Perfect Dual Camera on April 25 with our brand ambassador Kris Wu. 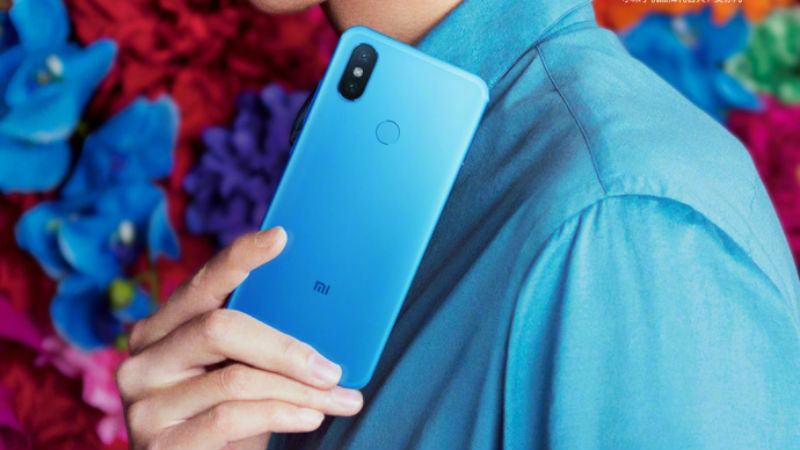 Not only that, in an official teaser Xiaomi shows off the back panel and a nice blue color variant of the upcoming smartphone. As per the teaser, Mi 6X will feature a 20 MP and a 12 MP at the back. And for selfies, the handset may include another 20 MP camera at the front. All this information was also leaked previously in the month of March, 2018. The best thing about the phone is that the cameras on the phone will come with some AI capabilities. The Mi 6X will be available in three configurations – 4GB RAM/ 32GB storage, 6GB RAM/ 64GB storage, and 6GB RAM/ 128GB storage. Other features included Snapdragon 660 processor, 5.99-inch full-HD display with a resolution of 1080×2160 pixels. When we talk about the design the device looks like an iPhone X.
Xiaomi has not revealed any information about its launch in other countries like India. But we expect the device will come to India by June 2018. Thanks for reading. Keep visiting our blog regularly for latest tech news.